Seattle is know for a lot of things, but it’s most popular for coffee, music and rain. Somewhere lost in the mix is Seattle’s rich aeronautics history. Boeing was born in Seattle in 1916, and aerospace has been a prominent business in the Pacific Northwest since then. That’s exactly why there’s the Museum of Flight in Seattle — to acquire, display and preserve our incredible air and space history. 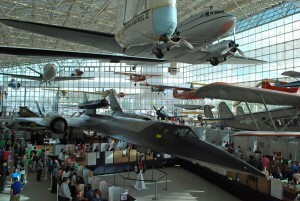 Tove and I visited the Museum of Flight for the first time last Thursday. Believe it or not, the museum stays open late and offers FREE admission to the public (from 5pm-9pm) the first Thursday of every month. Tove and I recently heard about the free admission, so we jumped at the first free Thursday that we could (we’d been itching to get there anyway). 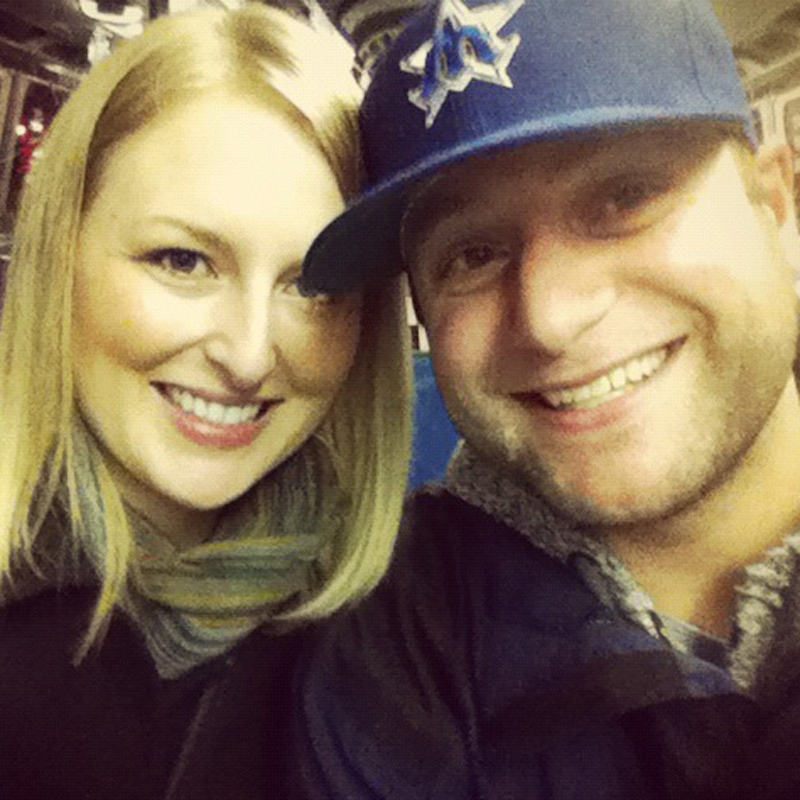 Even though we didn’t pay a dime, our trip to the Museum of Flight was worth every second. NOTE: If you’re visiting from out-of-town, and you’re not here for the first Thursday of the month, you can still get a killer discount on the Museum of Flight with the Seattle CityPASS. You can save 43% on six of Seattle’s top attractions, including the Space Needle, Museum of Pop Culture, the Museum of Flight and more. 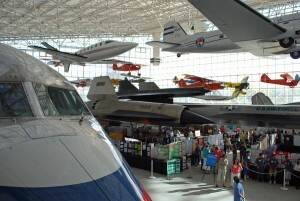 Tickets for the Museum of Flight are normally $18 for adults, $15 for seniors and $10 for youths (5-17). Children 4-and-under are always free. When you first enter the Museum of Flight, you’re automatically drawn to the Great Gallery (or at least Tove and I were). There are nearly 40 aircraft on permanent display inside the three million cubic-foot room (it’s called great for a reason). There are literally airplanes hanging from the ceiling of the exhibit, including a nine-ton Douglas DC3. The Great Gallery is also a hands-on exhibit, you can sit in the cockpit of an actual SR-71 Blackbird and/or enjoy one of the museum’s flight simulators. 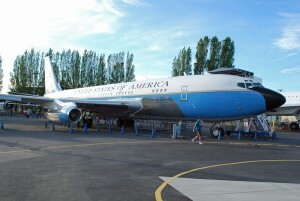 You can tour an actual Boeing 737, enjoy time in the Kid’s Flight Zone and check out a mock flight tower on the second floor of the Museum of Flight. The flight tower exhibit does an incredible job of explaining the complicated process of controlling air traffic. The Museum of Flight tower actually looks over Boeing Field (no more than a few hundred yards away) where real planes takeoff and land (having an active airfield nearby is one of the extra bonuses of the Museum of Flight). On a clear day, you also get a spectacular view of Mt. Rainier from the tower. It looks like the mountain is practically sitting in your lap. Back on the first floor of the Museum of Flight, you’ll find exhibits dedicated to space exploration in the Lear Gallery. You can review the history of manned spacecraft, and look to the future of space exploration with interactive displays and artifacts. You can find out what it’s like to bring a space shuttle in for a safe landing and/or land a lunar module on the moon in the Space: Exploring the New Frontier exhibit. The area also features a detailed, scale model of the Apollo 17 lunar module and rover, and a full-size replica of the International Space Station Research Laboratory. Down the hall from the Great Gallery and Lear Gallery, you’ll find the Red Barn. This is where you can travel back in time to the birth of aviation and also learn about the history of Boeing. Loaded with historical, one-of-a-kind documents and models of early aircraft, the Red Barn looks and feels like an old-time wood shop. Tove and I honestly thought this was the most boring part of the museum, but we’ll let you judge for yourself. A short walk from the Red Barn, you’ll find the Personal Courage Wing at the Museum of Flight. 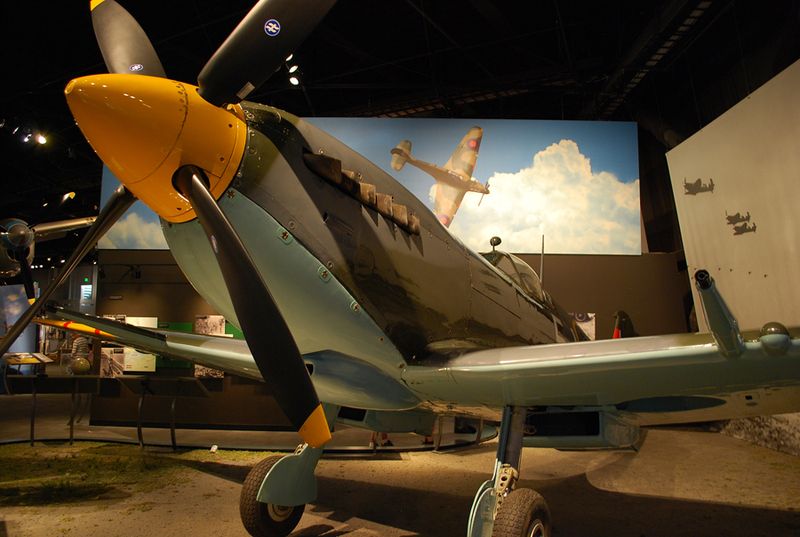 The Personal Courage Wing is dedicated to World War I and World War II fighter planes. 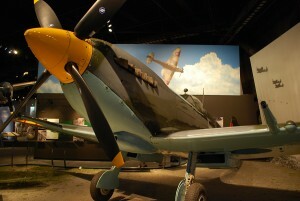 Among the collection, you can admire 18 World War I and 10 World War II fighters. Not only can you look at the aircraft, you can also learn about the people who designed, built and flew these planes in every theater of the war. The Museum of Flight pumps the sound of old-time fighter planes into the exhibit for added effect. The newest (and possibly the coolest) section of the Museum of Flight actually sits across the street. That’s where you find the new Space Shuttle Trainer. This full-scale mockup of a space shuttle orbiter was used by actual astronauts at Johnson Space Center in Houston starting in 1973. 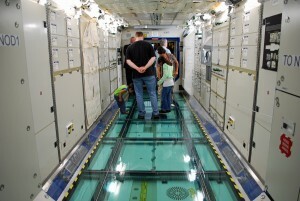 It was primarily used for astronaut training and systems familiarization. 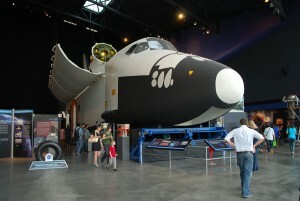 The payload bay is always on display at the Museum of Flight, but you have to book a tour to see the crew compartment. It’s a 30-minute tour that gives you access to both levels of crew compartment, and at the end you receive a commemorative patch or pin to take home. 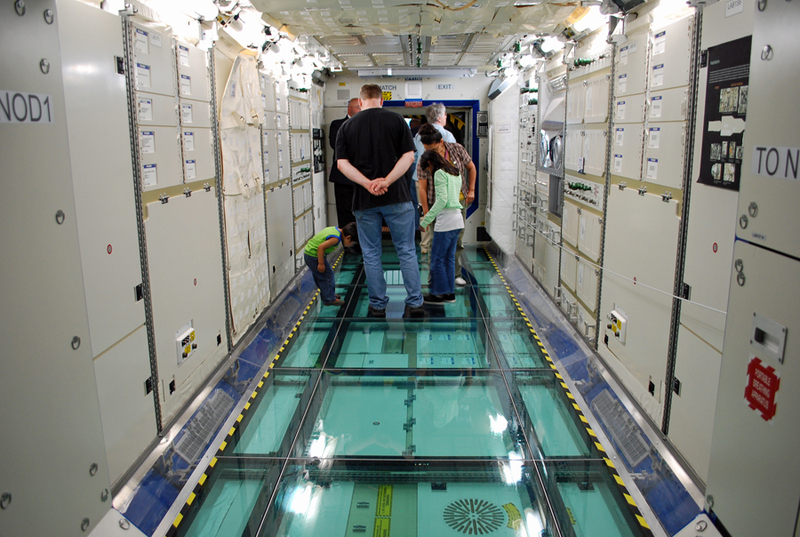 To ensure the best experience possible, tours of the Space Shuttle Trainer are limited to just six people at a time. They were not giving tours when Tove and I were there, but we’ll definitely go back for that experience. It sounds incredible (said by a guy who wanted to be an astronaut when he was a kid)!